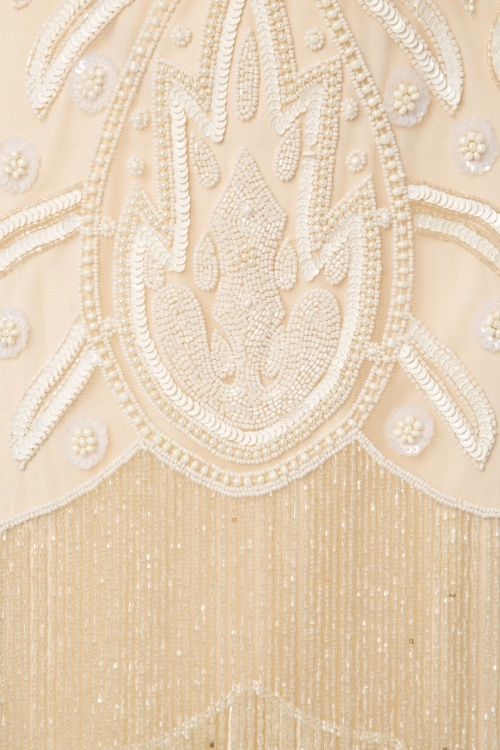 The 20s Vegas Fringe Flapper Dress in Cream is a gorgeous hand embellished reproduction of the elegant 1920s flapper dresses! 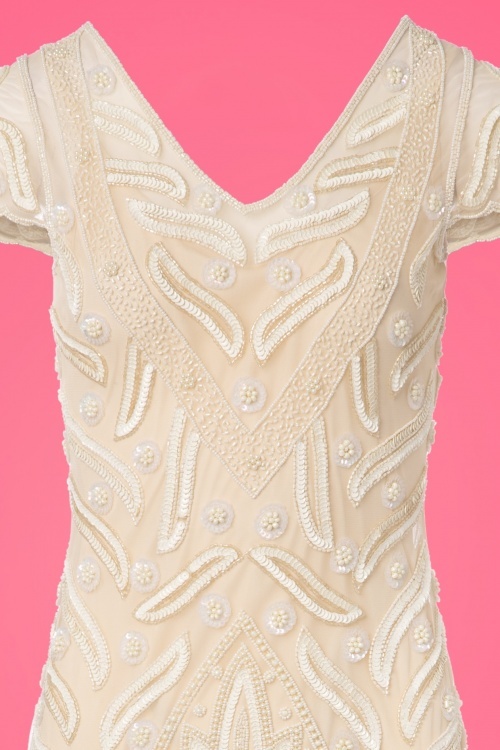 You could easily be an actrice in Downton Abbey when wearing this dress... or have your own adventure Gatsby style ;-) This showstopper is hand embellished with tiny, shiny glass beads and sequins, wow! The top features a deep V-neckline, V-back and semi-sheer cap sleeves as cherry on top of the cake. 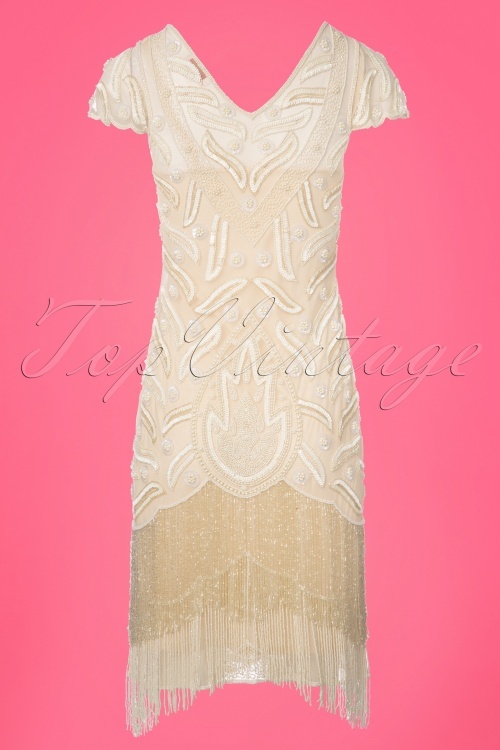 This beauty has a flowy loose-fit style just like the flapper dresses back in the days. 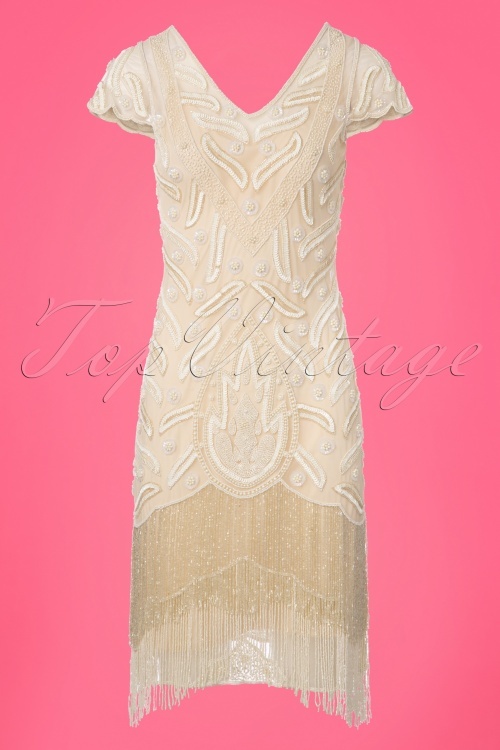 Made from a stretchy, cream coloured, semi-sheer fabric with a slip dress for extra comfort and finished off with fringes along the bottom. 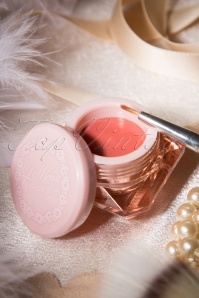 Let's go back to the roaring twenties!